One of my friends posted this very odd mix of a video. Have you ever seen hip hop or rappers dance to an Irish Jig? I know I haven't. Before you get too excited about it, someone found the video, and placed the Celtic music with it. It's such an odd mix. It made me smile though. It reminded me of when I used to turn the Spanish channel on, wait until a soap opera came on and speak different voices for the characters. It was so funny! Sadly I don't know who the guys are in the video. If anyone of them ever see this, comment, and I'll interview you. 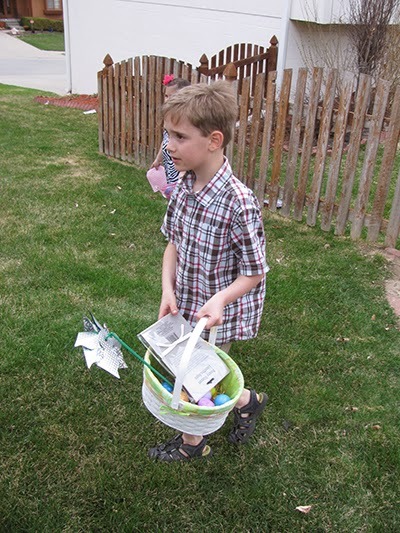 For Easter I always do a scavenger hunt. There is a clue egg that tells them how many eggs to get in that spot, and tells them in an abstract way where to go next, and how many eggs to get in the next search area. We tried making it harder this year. It wasn't impossible, just harder. One clue egg said, "Good job! 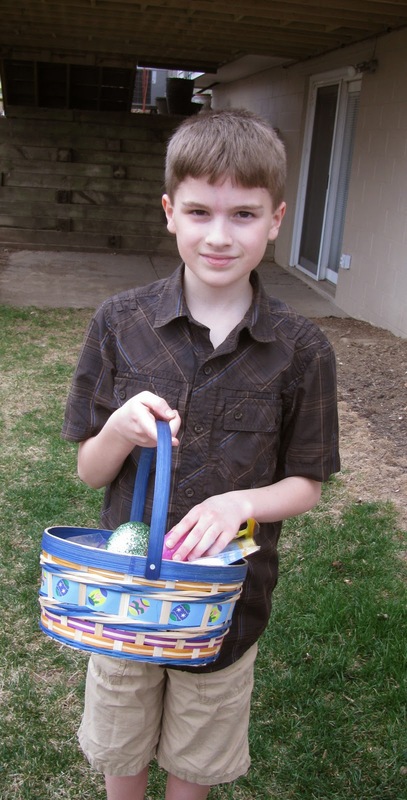 Next there are 10 blue eggs where towels are stored." They both ran to the bathroom. I said, "What color of eggs are in there?" They both said, "Green." I said, "Look at the color on the clue again. That may not be the spot." Their minds were spinning. It was the linen closet. With a little help they got it. Isaak's trying to ride a bike. Both of our boys took a little longer to catch on to bike riding. I'm thinking I should have invested in one of those balance bikes. In my mind I was thinking, How long would they use it? Would it really be worth the cost? Now Isaak's just about 6, his body is more the size of a 7 year old's, and the balance bikes are for 5 year olds and under. Oh wells. 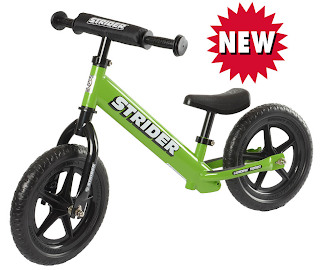 Do you buy into the balance bikes? Over the weekend my cousin's son AKA Alex warmed up to me. He's usually a Daddy, Momma, and Grandma's boy. My Aunt/his Grandma was sitting on the couch, I was on a different couch. She was saying, "Come give me a hug!" I said, "Alex come to Lissy" Motioning for him to come to me. He avoided his Grandma, and happily came to me. I just love itty bitty kids. Looking back I don't have a favorite age of a child. Newborns are so sweet. Even when they are disgusting, they are innocent and loveable. 2 and 3 year olds have their moments of testing their limits, but they also are so full of discovery. Kindergarteners are dependent, yet learning to be independent. 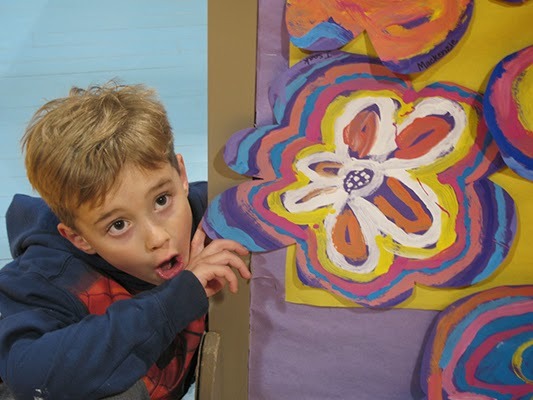 1st and 2nd graders are can do much more on their own, and still are creative. There's good moments, and testing moments with each age in my mind. What's your favorite age? Do you have one? Do misunderstandings ever happen when you have big family get-together's? It seems we can't have one without 1 fail. Usually one of the cousins picks on Isaak. Isaak retaliates, and he's the one that gets fully in trouble. It's not that he wasn't at fault, but he wasn't the only one that should be in trouble. 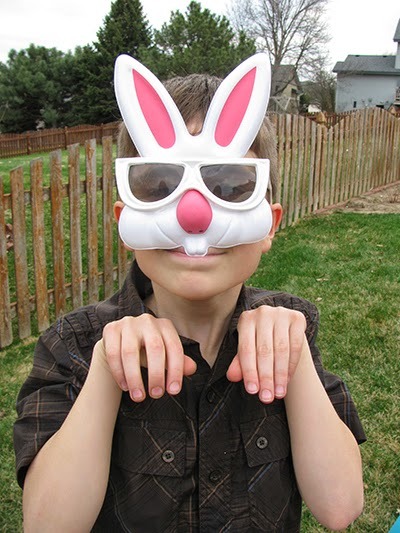 First story I was told: Mica and his cousin Evan went around telling all the kids that their is no such thing as the Easter Bunny. I thought it was odd because they both still act like they believe. They are at that age where they are going to stop believing soon. Mica was all about trying to catch the Easter Bunny. Evan told his Mommy he still believed. It is possible that they were pretending though. Second story I heard: Daddy went to talk with the boys. He didn't tell them anything, he wanted all the info to come from them. He just asked questions. They said that they were playing a game. 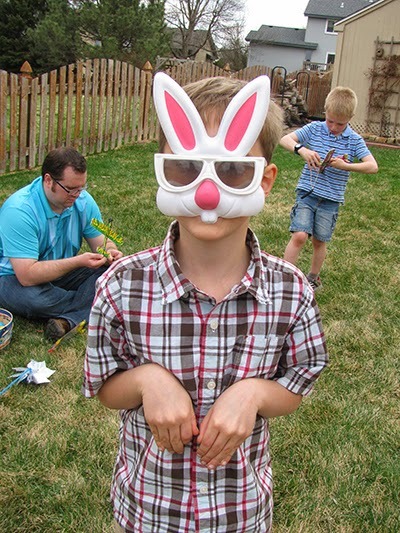 They hid their own eggs, and pretended to be the Easter Bunny themselves. They told the little kids they were the Easter Bunny, and wanted them to find their eggs. It caused an up roar from the adults. I can imagine why. I wouldn't want my little kids being told there isn't a Santa Claus or Easter Bunny either. As it turned out, they were just playing. The last one is something funny that Isaak said. Daddy: "Mica you're just like your Mom." Which in fact he's more like his Dad. Me: "Hey I don't loose things like you two." Daddy: "I'm not loosing anything at the moment." Isaak: "Ya Dad you're loosing your temper." 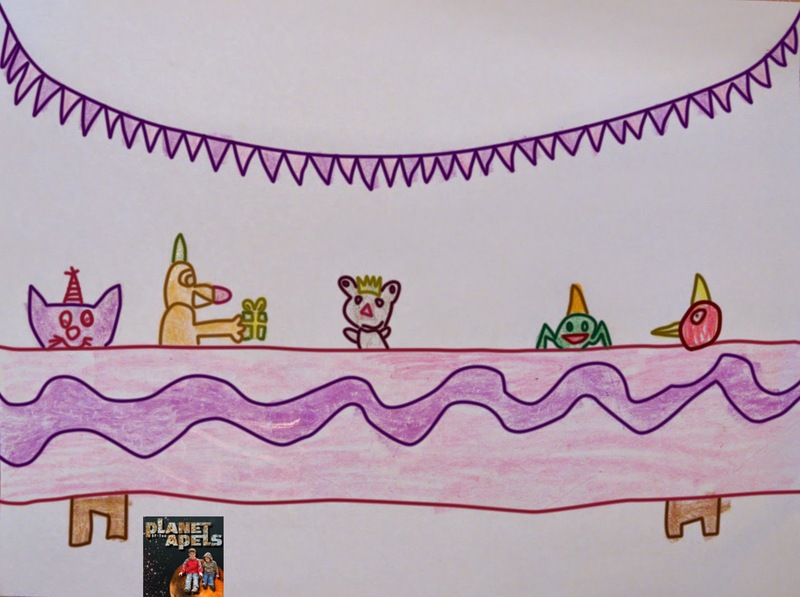 The boys had Music and Art Night at school. We've been to the ones in the past, but this one was different. Mica was signing. He had 2 speaking parts to. I kept trying to prep him with his lines. He didn't have trouble remembering them. He just wanted to say them really fast. I said, "Mica just say them like you are having a conversation. Don't race through them." He ended up doing great! The only thing that wasn't great is the rest of the school gym. Kids and adults were chattering like crazy. One of the boy's friend's Dad kept talking behind us. It was right after the principle said to be quiet. I looked back at him, smiled and said, "Shhhh. Didn't you just hear him?" He then was a little less talkative. I think Isaak was better behaved than a lot of other people. I was proud of him! This is Isaak's flower. He wouldn't give me a, "Normal" look. Mica kind of annoyed me because he kept going on and on that his hand artwork wasn't up. Well he didn't tell me he had a cool dragon up; that was better than the hands anyhow. Grandma and Grandpa came, and I so would have showed them. Here he is pointing at it. This was way at the end, after Grandma and Grandpa left. I couldn't be too mad. He did great with his actions and speaking part. He says he sings, but I hardly see his mouth moving. I was so proud I cried in the middle, and handed the camera off to Daddy. Daddy was laughing at me. He of course had to point out my watery eyes to all the people around us. I guess I'm turning into my Mom's Daughter after all. My Mom and Aunt's cry at a lot of things. 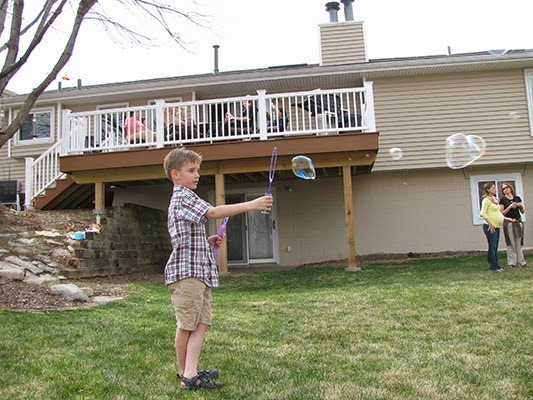 I can't go to a wedding, or a kid's singing event without getting teary eyed. The flower girl, and ring ring bearer are so cute and excited, they make me cry. The kid's and their actions during a performance makes me cry. Oh and the high pitched notes that they can't hit makes me cry. So when you see the camera move, it's because I lost it. Is anyone else like this? Here's part of Mica's performance. He has a line in the middle. I have a wonderful chance to be currently reviewing a product called Ridset. It's an all natural body cleanse. I've never done a cleanse before. Part of me was nervous about doing any cleanse. I'm not sure why. I guess when you do something that you've never done before you just don't know how your body is going to react. I'm a teacher, and I didn't want to be sick in my classes. I decided to start taking Ridset when my students had Easter break. That way if I got sick it wouldn't be as big of a deal. It's a 30 day cleanse, so I'll have a follow up review when I'm all finished taking it. You may be wondering why anyone would need a body cleanse? I'm trying to loose weight. Any cleanse should help with that. I have lost 13 pounds from March 14th. It's from the combination of exercising, watching what I eat, and taking Ridset. I'm trying to be proactive with my allergies. I'm the Queen of Allergies. I'm allergic to dust, pollen, mold, ragweed, roaches (not sure why they test for those with a back prick testing), anything furry, anything feathery and more. I'd love to say they have gotten better as I've aged, but they haven't. They actually got worse. I've read that anyone who has seasonal allergies should stay away from milk products, sugar products, and gluten products. Milk and sugar actually build mucus. Gluten pretty much makes a paste in your stomach. 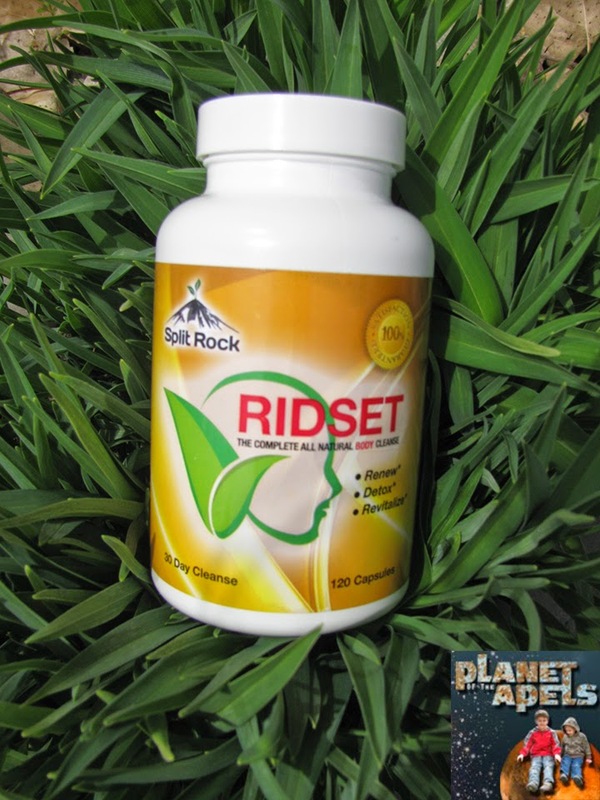 Ridset will help detox the crappy things out of my system to make my allergies better. I just want to be healthier overall. I think of a body like a car, sometimes it needs a major overhaul. I've been taking Ridset for 1 week, and it's a month long cleanse. There will be a part 2 to this review. When I finish Ridset, I'll let you know how things went. With Ridset you can eat whatever you want, but I was on a no dairy, no sugar, and no gluten diet before taking it. My diet hasn't changed, while I've been on it. You do need to drink 64 ounces of water a day, while using it. I'm used to drinking a lot, so to me it doesn't seem like a lot. How things are going so far? Day 1: I didn't notice anything different. Day 2: I was a Sneezy Queen! It was really dry, windy and things were starting to bud here. Also Ridset has Milk Thistle Powder in it. That's something that I'm allergic to. It's actually good that I'm taking it because studies have shown that serums, oils and pills that you are allergic to help with allergies in the scheme of things. I imagine when you first take it, it is bound to cause a reaction. Day 3: I had a spot on my face that was never there before. It wasn't a pimple, just a spot. Day 4: I was just wore out on Easter. I also didn't sleep much the night before. The Easter Bunny stayed up late, so Mica wouldn't catch him/her. I just kept waking up after that. Day 5: I had a few pimples on my chest, and tummy. Day 6: I was just itchy. My arms, my back and my face were itchy. It was nothing horrible, but itchy here and there. Day 7: That's what day I'm on now. The pimples are gone, and my skin isn't itchy anymore. I'm feeling pretty good today. I have a little headache. The weather has been switching so much. I don't know if the headache is from the detox, or the rainy weather. It's much better than the dry windy weather. I did wake up with stool issues. It's taken twice a day. An hour before breakfast, and an hour before dinner. You have to wait an hour just to make sure your body is ready to absorb the it's ingredients. It's best to keep Ridset in a cold place like the refrigerator. 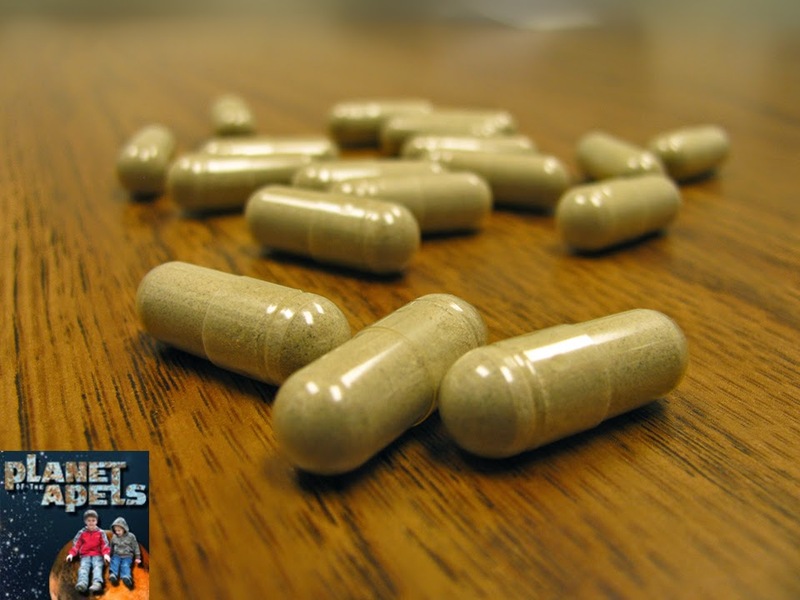 Main All Natural Ingredients: Black Walnut Hulls Powder, Garlic Bulb Powder, Pau D' Arco Bark Powder, Barberry Powder, Wormwood Herb Powder, Milk Thistle Powder, Burdock Root Powder, Marshmallow Root Powder, Ginger Root Powder and Cramp Bark Powder. 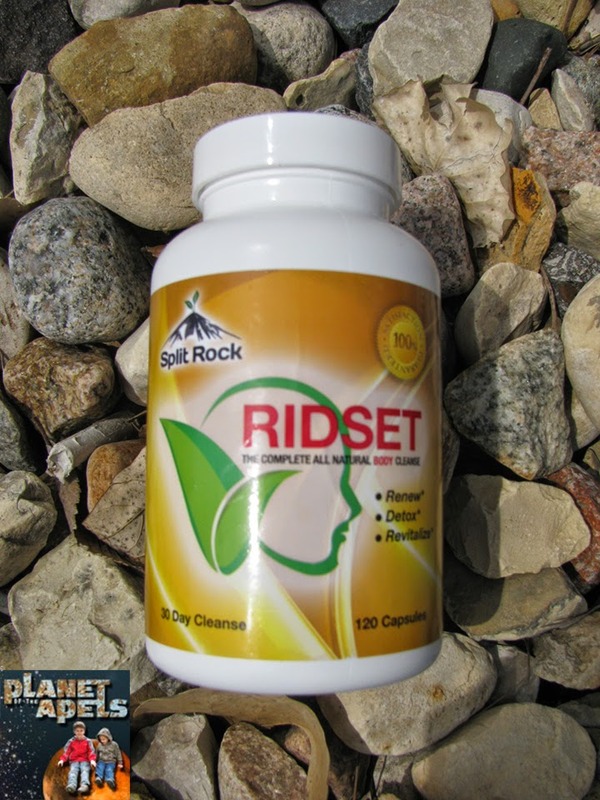 Ridset will help you feel renewed, detoxed, and revitalized. It's $39.95 for a 30 day cleanse, $74.95 for a twin pack, and $144.95 for a four/family pack. Check out Ridset's website, and their facebook page. 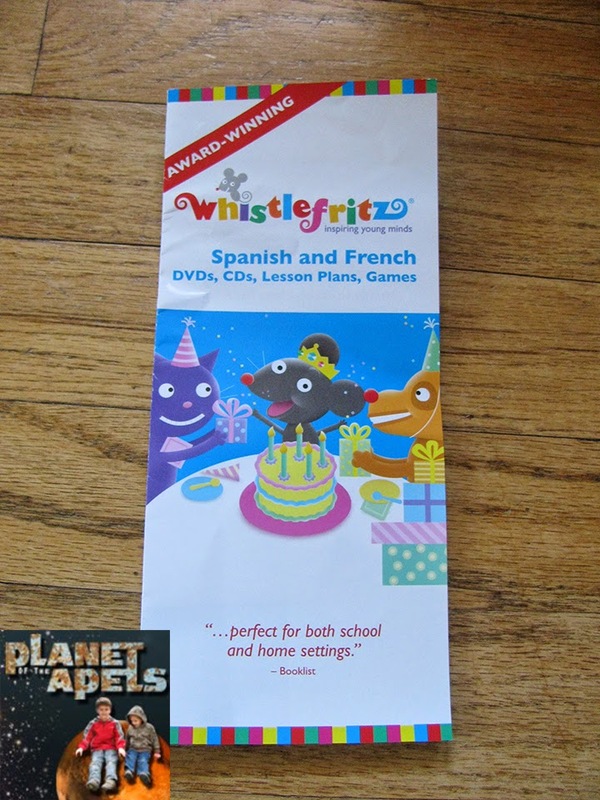 I have reviewed a DVD from Whistlefritz before. They contacted me once again to review a CD. I jumped at the chance. We listen to music a lot. I know when it comes time to take a trip this summer we'll be listening to tunes in the car. Allons Danser! (Let's Dance!) 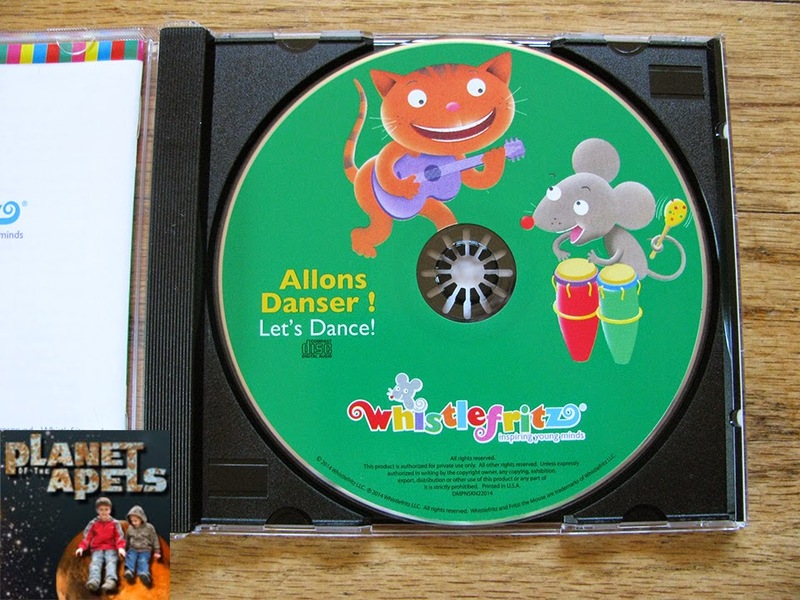 CD is in French. There are times when I need some background noise at home. That noise keeps my kids occupied. What's really great is that they learn, while they listen! When I was in school I had a hard time learning Spanish. I think I struggled so much because it was so dry when it was taught to me. 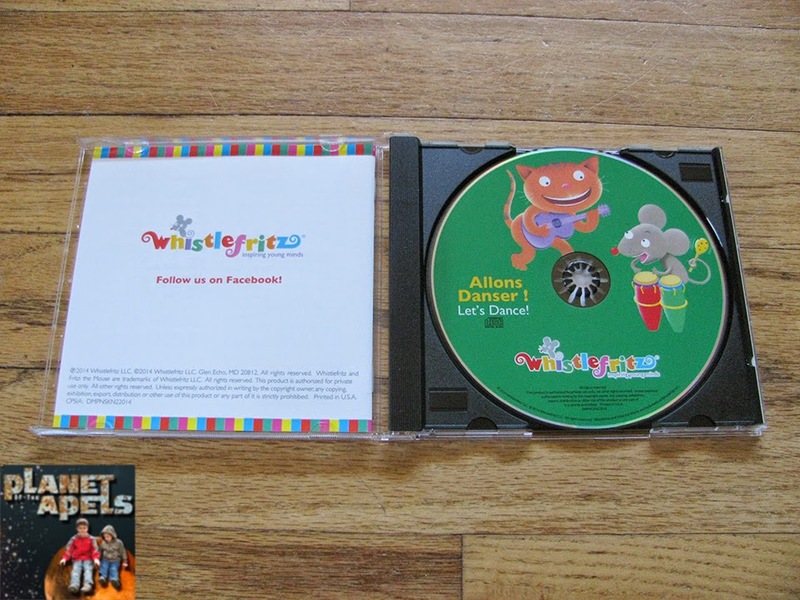 Whistlefritz has so many fun language DVDs and CDs that make learning fun! I was thinking the CD might be cheesy, but it's not at all. It was so it's easy to get in the groove of singing it. My kids recognized La Tête, Les Épaules, which is just like Head Shoulders Knees and Toes, and Le Vieux MacDonald, which is just like Old MacDonald, and more. We all started cracking up with Le Vieux MacDonald. The animal noises were just funny to us. 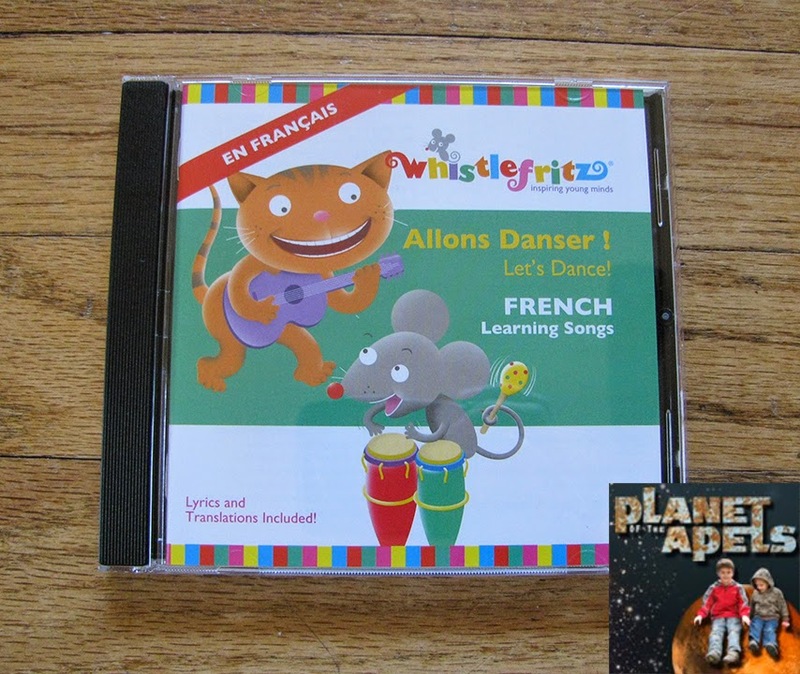 All the songs are in French. 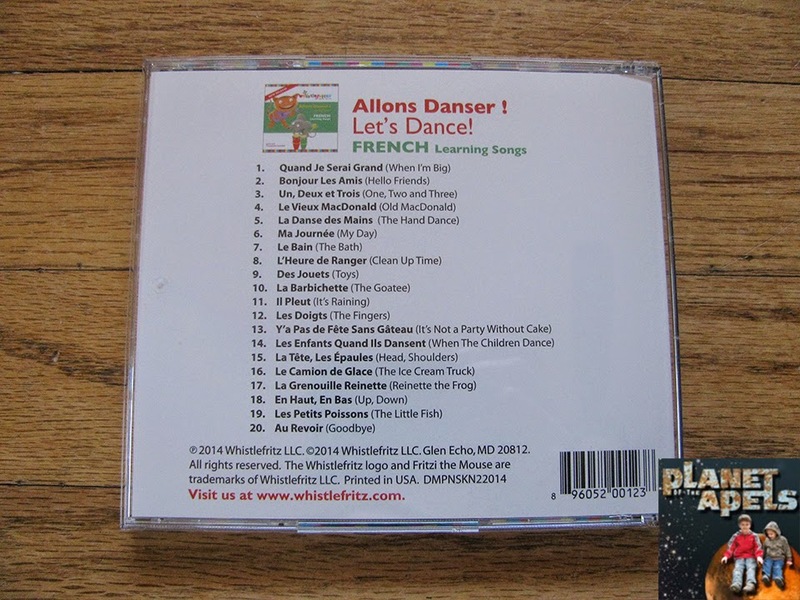 Some of the songs are traditional songs with a French twist, while others are new. It's $14.99, which is a great price. It's newly released. It just came out this month! The artists are: Marie-Louise Desage and Didier Prossaird. 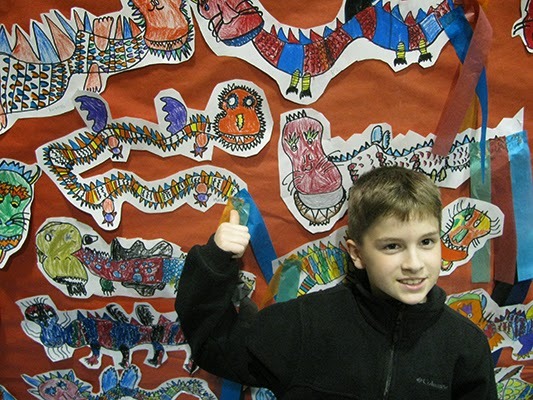 A mom started in 2006 to teach her son Spanish. The best time to learn another language is when children are young. Many school do not introduce another language until children are in middle school, or high school. Their main focuses are fun and education. They have free lesson plans that you can download. I think that's so helpful. Just to let you know how helpful they've been, they've won over 50 awards. It's less expensive than other language programs. Disclaimer: The opinions on the post are my personal take on the product. This blog is a personal blog written and edited by me. I was under no obligation to review it if I so chose. Nor was I under any obligation to write a positive review. I did get a product to help with this review.